The Wedding Planner Masterclass is an intensive workshop for wedding planners, focusing on education and inspiration from some of the top event industry professionals. I developed the Wedding Planner Masterclass in 2015 after hearing from so many up-and-coming wedding planners seeking advice on growing their businesses. It’s a unique opportunity exclusively for wedding planners to learn from my years of experience, ask questions specific to their pressing needs, and be inspired to reach the highest levels in their work. This year’s host venue, Ventana Big Sur, is the perfect escape for busy planners to immerse themselves in the experience and dream about the next adventure for their businesses. We hope you will join us! Deposit of $2,000 is due to reserve space in the workshop. Second payment of $2,000 is due on February 1st, 2018. Final payment of $4,000 is due on March 1st, 2018. Please note: Attendees may also bring along a spouse or guest if desired for a small additional fee. Guests are welcome to enjoy meals & leisure time with the group. Please inquire at events@lauriearons.com for details. -Individual one-on-one sessions with Laurie and key guest speakers to review portfolios, offer advice and discuss questions specific to your planning business. -Seminars and lectures from industry tastemakers. An exclusive five-star resort set amid 160 forested acres on the rugged Pacific coast, Ventana is both inspired by and reflective of its majestic setting in Big Sur. Watch the sun set over the ocean. Explore rolling hills and old-growth forests. Reconnect with your body and spirit. Every Ventana Big Sur Guestroom is a sanctuary, arranged to provide comfort above all. Jose’s approach to wedding photography has set the standard in the wedding industry over the last decade, applying the principles of fine art photography to the living, breathing, fast-moving phenomenon that is a wedding. His goal is to craft vibrant, energetic, fine art images that are as unique as the people in the photographs. He has been named one the the top Wedding Photographers by Martha Stewart Weddings, Harpers Bazaar, Style Me Pretty, and Vogue; one of the top 10 wedding photographers in the world by American Photo Magazine, and one of the most influential photographers of our decade by PDN. Yonder Design, a graphic design studio specializing in branding for luxury events, is one of the wedding industry’s most sought after creators of bespoke printed materials. Combining clean graphic design with unexpected materials, Yonder works with many of the top event planners in the world to create unique experiences for their clients. From save the dates, invitations, and websites to large signage, menus, and personalized gift boxes, guests are given a cohesive experience from start to finish. For over 20 years, Isabel has continuously helped clients, from Event Planners to Fortune 500 companies bring their wedding and event visions to life. Her extensive background and attention to detail enables her to assess and transform any space or venue, by creatively utilizing tents, draping, and custom fabrication. Isabel has led teams that have supported the San Francisco Symphony Gala, Super Bowl LIII , The Napa Valley Wine Auction, Pebble Beach Food and Wine, and more. In 2007, Abby set out to create a space where highly curated content could live and thrive with just the click of a button, advocating the work of incredible artists and wedding vendors found around the world and guiding brides towards planning a wedding that felt personal and thoughtfully crafted. In 2012, AOL acquired the majority share of SMP and together with Tait and Abby, they set out to provide brides with an even better online resource for consuming and sharing content and inspiration. Upon hearing the news that Style Me Pretty was to be shuttered in 2018, Abby & Tait reacquired the brand. Abby’s hope is that through Style Me Pretty, she can continue to raise the bar for what it means to celebrate life’s most precious moments. 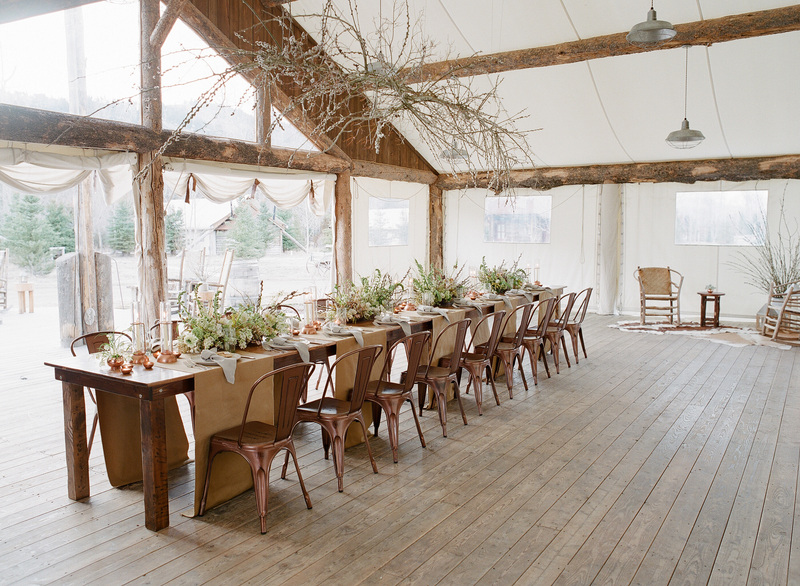 To create a space such that the artistry behind the real wedding can be celebrated in its purest form. And to design a seamless and powerful platform for vendors to find and book the kind of clients that will help elevate their own brand. Carats & Cake is a premier network representing the best in the wedding industry. A native of Laguna Beach, California, Jess attended the University of Pennsylvania before heading to New York to work in venture capital at Burch Creative Capital, where she helped manage investments and brand development for a portfolio that includes Poppin and Tory Burch, LLC. After nearly three years identifying aspirational consumer-centric opportunities and strategies, Jess departed as an associate to pursue her MBA at NYU’s Stern School of Business, Jess saw an opportunity to build upon her past experience as an investor and change the way local wedding vendors do business. The Carats & Cake network was built to connect affluent couples with elite vendors and venues, and is now supporting premium vendors with elegant business tools, exclusive media opportunities, and targeted cross-channel exposure. Peter Colosi has 12 years of experience counseling corporate and individual clients on business matters and intellectual property in the technology, sports and events industries. He analyzes trademark, copyright, and trade secret issues and advises clients on licensing, employment and settlement agreements as well as federal and state-specific privacy laws. He graduated with his JD from UC Berkeley School of Law in 2007. Thank you so much for all of your time, energy, effort, care and hard work making the Masterclass a reality and great success. I am honored to have attended and so inspired by you, the other presenters & attendees. You set an extremely high standard which is incredibly admirable. Thank you for being so diligent in raising the bar for our industry. The most invaluable part of the Masterclass was that it didn’t end in Montana. Laurie continues to be a mentor and friend for me and my business in ways that money can’t buy. It was a priceless experience and I wish I could do it all again. I have admired your work from afar for many years, and it was such an honor to get to learn from you and get to know you on a personal level. Just knowing that you are a real person who cares so much about every client and, having achieved such incredible success, is so humble and grateful, makes me feel so much more confident that my dreams and goals for my business really are within reach. Wow! A week of mentoring, transparency, and learning from the best is truly a once in a lifetime experience! Laurie, the LASE team, and industry experts are all incredibly supportive, providing tangible advice and guidance to drive your business forward. The best part…Laurie continues to be a mentor and friend which is priceless. I am forever grateful!